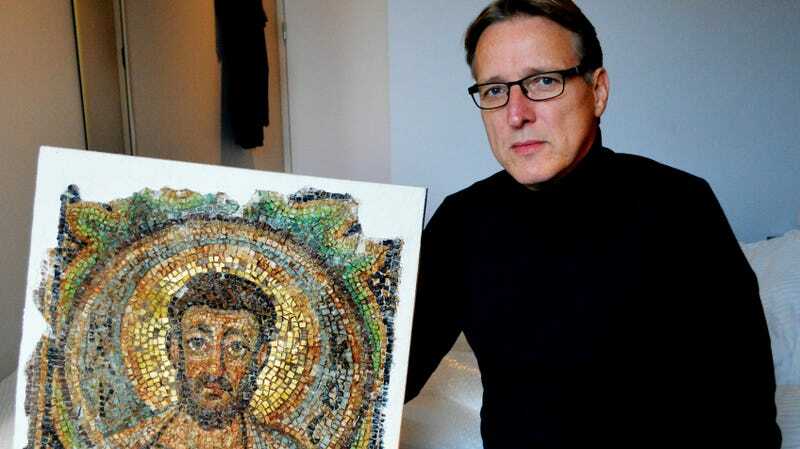 A sleuth famous in the art world for tracking down works of art thought to be lost or destroyed has delivered one of his greatest finds yet—a Byzantine-era mosaic of Saint Marks that was stolen from a Cyprus church after the Turkish invasion in 1974. In 2015, Brand retrieved two horse sculptures by Josef Thorak that stood outside of Adolph Hitler’s Reichstag building. According to the Independent, Brand reportedly used satellite images, archival documents, and military informants to figure out the location and authenticity of the sculptures, thought to have been lost in the Battle of Berlin. Then he reportedly created a fake Dallas-based art buyer persona to gather more information so that he could tip off German law enforcement. According to Agence France-Presse, Brand first started looking for this mosaic when a London art dealer tipped him off that it was in Monaco. Brand told the outlet that he used several intermediaries—many in the underground art scene—to determine the apartment where the art was located. The mosaic is believed to be worth five to 10 million euros ($5.7 million to $11.4 million USD), according to AFP. Brand returned it to the Embassy of Cyprus in the Netherlands on November 16. The piece made it to Cyprus two days later. Brand believes this mosaic is one of the last artworks stolen from the Cyprus church in the invasion that had yet to be returned.